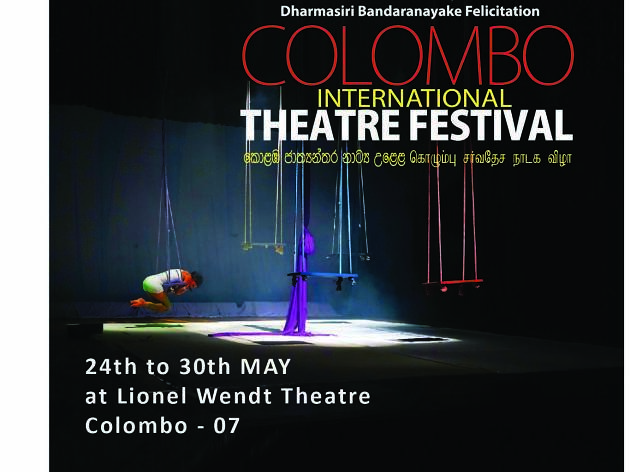 A colourful line-up of creative plays felicitating Dharmasiri Bandaranayake. 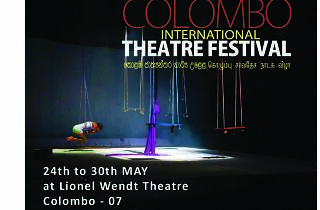 Here are the international plays that will be held across the world including India, Austria and Italy. “The Diary of a Madman” was read as an ironic attack on traditional Chinese culture, and is seen as a call for New Culture. The character “Madman” who has supposedly been cured of his paranoia, presents his thoughts and understandings of the world around him as entries in his diary. After living in confusion for thirty years, his sudden Lunar Spiritual enlightenment is documented in thirteen fragments of his diary. After an extensive study of confusion culture, his confusion gives way to Paranoia, as he starts seeing the words “Eat People” between the lines. As he discovers his brother’s and mother’s plans for eating him, he simultaneously realizes his unwitting involvement in eating his sister’s flesh. The play ends with the “Madman’s” desperate cry “Save The Children”. The Diary of a Madman” exposes the ubiquity of cannibalistic nature of four thousand years of Chinese history and how everyone is an accomplice in the game of eating and being eaten. It is clear that every living organism needs to be seen, to be heard, to be looked after and to be cared for no matter its gender, age, race and species. The theme of our play is based on this idea. The play expresses Mimdo’s story of existence in a non-verbal and humorous style, who does not have any particular skills, and hence being nearly unrecognizable, or worse being ignored by others. How can anyone leave their home – the Rabtal! What makes the temptations of urban life so strong? And what might persuade one to move back? Rural depopulation represents an existential problem for the provinces. Finding a way to deal with it is not only a matter of infrastructure planning but a personal one, both for those who have moved away and the others left behind. With their familiar edgy charm the Rabtaldirndln use an ‘Austria’s Most Wanted’ format to track down those who have left, look for answers on a case-by-case basis and make an effort to fill the gaps which have been left behind. The Rabtaldirndln use a lot of humour in what is a very serious examination of those who have left home to look for happiness in the city. The role of women in both rural and urban society is of particular interest. A reflection about modern - day solitude Leaving Ziller Valley tells the story of the young Tyrolean manager Elizabeth. Alienated and lost from jet-setting between high-end hotels from Paris to Shangai, she decides to stay in New York. Maybe in this city full of dreamers, she can find what she is looking for: a place that she can call home and where she can ultimately find herself. “Leaving Ziller Valley revolves around the German conceptual term "Heimat" (plainly defined as the relationship one may have to a particular place) and explores its meaning through a dramatic, vibrant and energetic theatrical presentation. The performance also displays a personal quest for identity, emotional security, and a sense of belonging and purpose, away from the comfort of one's home. It shows how relativity comes with a term or a word being understood differently across regions, and how several elements beyond physical or special environment constitute "home". “Mandragora Circus” is a wordless theatre performance in which two clowns tell a story of comedy and love where dialog and thoughts are understood without words. Circus stunts, music and unconventional instruments weave the acts of this performance together to allow the audience to imagine situations, conflicts and solutions. The show is delicate, with a touch of comedy, and an attractive story which can be enjoyed by audiences of all ages where circus becomes poetry.